What I wouldn’t give to have witnessed Nancy Pelosi’s reaction when she learned her own are out to get her. She has had such a cushioned run thus far that I bet she is not feeling all that certain of herself right now. she has been the focus of Democratic complaints after ads linking her to Democratic House candidate Jon Ossoff contributed to his loss. Democrats are actually outright saying that Nancy Pelosi being involved at all is what gave Republicans the victory in a special election that is being perceived by many as a referendum on Washington. Even after securing millions in contributions from Democrats across the country, Ossoff as you know still lost to Republican Karen Handel and soon after, numerous congressional Democrats were already whining and blaming their own leaders for the defeat. Unfortunately for Pelosi and fortunately for the rest of us… others are agreeing. Numerous others… of her OWN kind! Pelosi, 77, who has led House Democrats since 2003, indicated no plans to step down. “I respect the comments of some in our caucus, but right now we must be unified in order to defeat Trumpcare,” she said in a written statement. During a Wednesday caucus, Pelosi urged House Democrats not to overreact to the results of the Georgia election. “It was probably one of the more disturbing caucus meetings that I’ve ever been in. And everyone pretty much sat in silence and I’d like to think that they were as shocked as I was that they were hearing the spin that was being put on this loss,” Rice said. 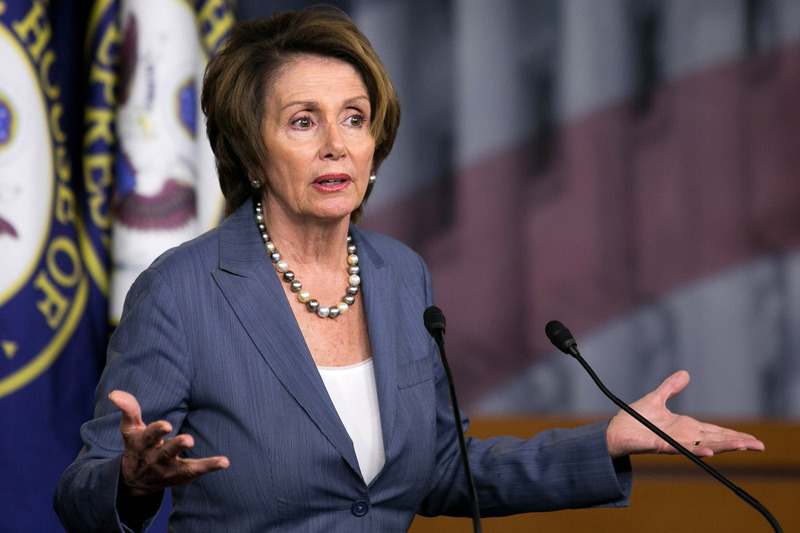 Some analysts said Pelosi’s time as a leader is nearing its end. “One called, one emailed, saying ‘We want her out,’” he said. However, as a way of strategy, Republicans are not in a hurry to see Pelosi go. “She consistently polls very unfavorable. I think in this instance, it had a motivating effect for our voters on the turnout front,” said John Rogers, executive director of the National Republican Congressional Committee. Nancy Pelosi is certainly a huge problem for the Democratic party, but the she is not the only one to blame here. It is the entire Dem platform that needs to go. We do not want Socialism, plain and simple. Plus, we want Law and Order. Condoning rioting and name calling is damaging the Democrats more than helping them. BUT of course…since they are putting the final nail in their own coffin, maybe we should just sit back and watch. Let our problem take care of itself.